The information contained on the Dementia Friendly Community Campaign Website "www.swd.gov.hk/dementiacampaign" (the Website) is compiled by the Social Welfare Department (SWD) for general reference and information purposes only. Whilst efforts will be made to improve accuracy, the SWD gives no express or implied guarantee or warranty as to the accuracy, completeness, timeliness or usefulness of the information on the Website or information provided through links to third party websites or that the information will be up-to-date. The information or photos of the products or services contained in the Website are for reference only and do not represent any statement, representation, support or guarantee by the SWD. There may be similar products or services available in the market. Users are responsible for self-assessment and consultation with independent advice to make appropriate choices. If there is any loss or damage caused by any product or service contained in the Website, the SWD does not hold any responsibility. By accessing and/or using the Website, you agree to accept unconditionally the terms of this Disclaimer. As they may be revised and/or amended from time to time by the SWD without prior notice to you, please check this page every time you visit the Website for any revisions and/or amendments which may be made. Gerontechnology is an interdisciplinary field of scientific research and product development in which innovations in technology are directed towards caring for elderly persons. 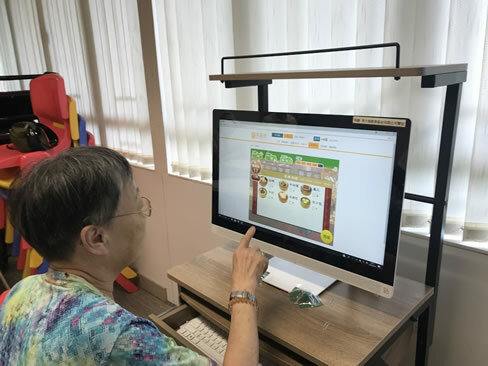 It aims at helping the elderly to live in the community and institutions comfortably, healthily and independently while remaining closely connected to the community and their families. The application of gerontechnology covers all facets of daily living including healthcare, home design, food, personal hygiene and care, digital communication and mobility enhancement.